Last Saturday the EcoCircuitos team invited a group of 8 children from Casa Esperanza on an unforgettable jungle boat tour at the Panama Canal and a visit to the Rainforest Discovery Center following our program of environmental education for the children in need. 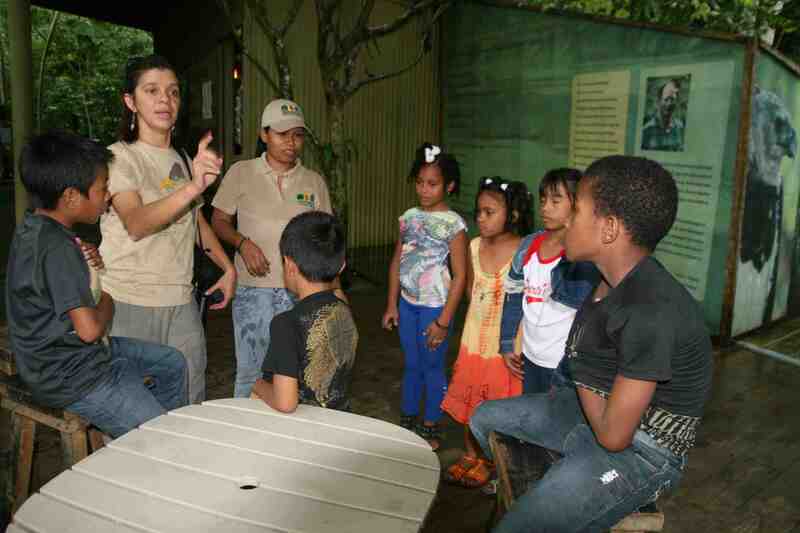 The kids have the opportunity to learn about the tropical rainforest and the biodiversity of the Gatun Lake, the Panama Canal and the importance of recycling and protecting our wildlife. They admire different animals as: White face capuchins, howler monkeys, three toe sloths, American crocodile, green iguanas, river turtles and more. After the boat tour the group did a mini hike on Sobarania National Park before the tropical rain started and then visited the Rainforest Discovery Center where the staff and our team and the kids played different games that explain the importance of the rainforest in our daily lives. “It was a great and unforgettable adventure and I can´t wait to tell my friends”. Nadia a girl from the group commented before leaving them at the Casa Esperanza Center. After the tour all the crew and kids enjoy a great and fun lunch in a local restaurant in the city.